Rare Rolling-Block Rifle is a Rifle is Red Dead Redemption 2. 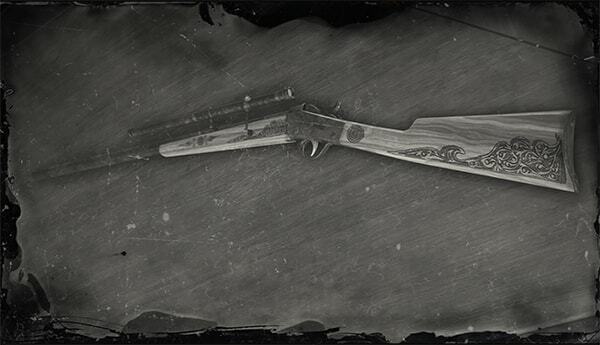 A rare Rolling Block Rifle made of light wood and blackened steel, adorned with carvings. Previously belonging to a bounty hunter after Josiah Trelawny, and found in a barn near Braithwaite Manor, this gun is a single-shot weapon, and can use regular, high-velocity, split point, express and explosive rifle ammo. Full Engravings $0.00 ?? ?? ?? ?? Price $0.00 ?? ?? ?? ?? ?? ?? Price ?? ?? ?? ?? ?? ?? ?? ?? ? ?